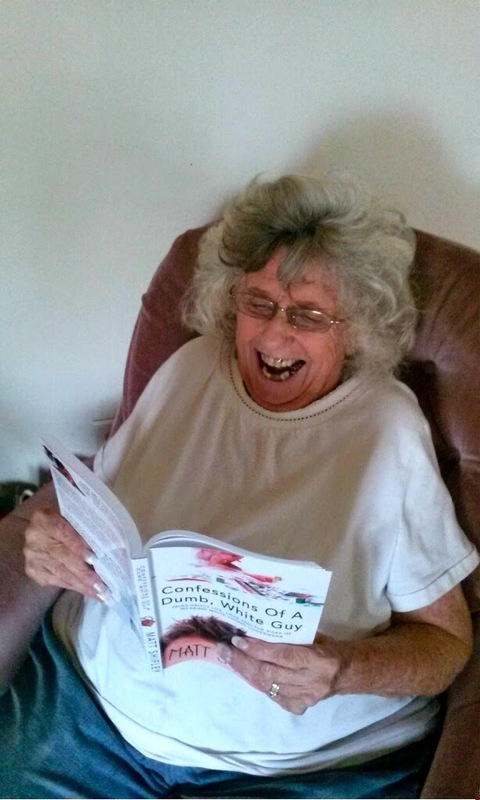 This is a picture of my grandma reading my book. She's reading the story about how my mom almost killed her. I know it doesn't sound like an amusing topic but trust me it's pretty funny. My grandma almost died and she's still laughing about. Great. I'm almost at that chapter!